On our last night in Kanazawa we had a fantastic dinner at the Uo-yaki Itaru izakaya (a type of small bar which also serves food). We had a range of yummy food including sashimi, octopus, duck and tempura. I even had to stop drawing so I could enjoy my dinner! Here is a collection of pots that were sitting just in front of us. There was a stovepipe going across the back of the range, a bit of an odd arrangement. 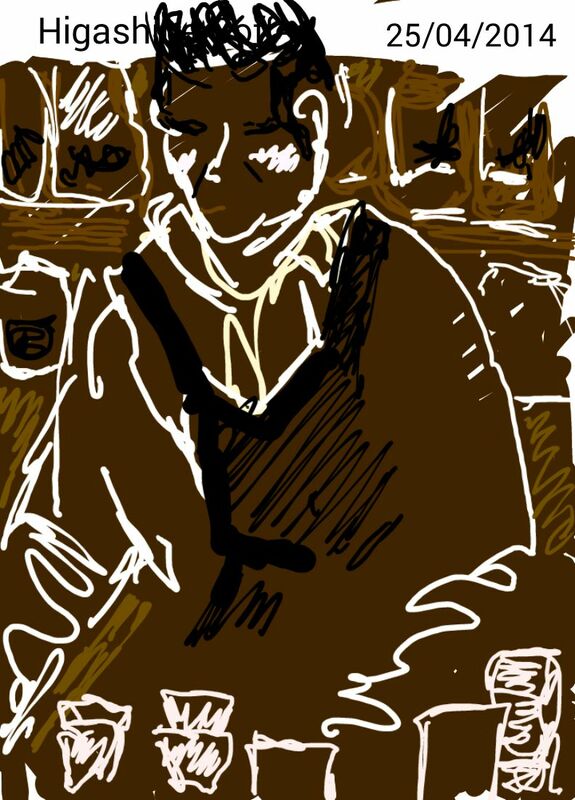 Today’s drawing comes from a cafe rather a long way north and west of where I usually have a coffee break. I’m in Kanazawa, a city on the west coast of Japan. To find good coffee in Japan you need to leave the coffee chains of the main street behind and hunt around for shops called kissaten, or look down the smaller streets for a coffee sign. Here the barrista at Higashide coffee is working on the next orders, with jars of coffee behind him. 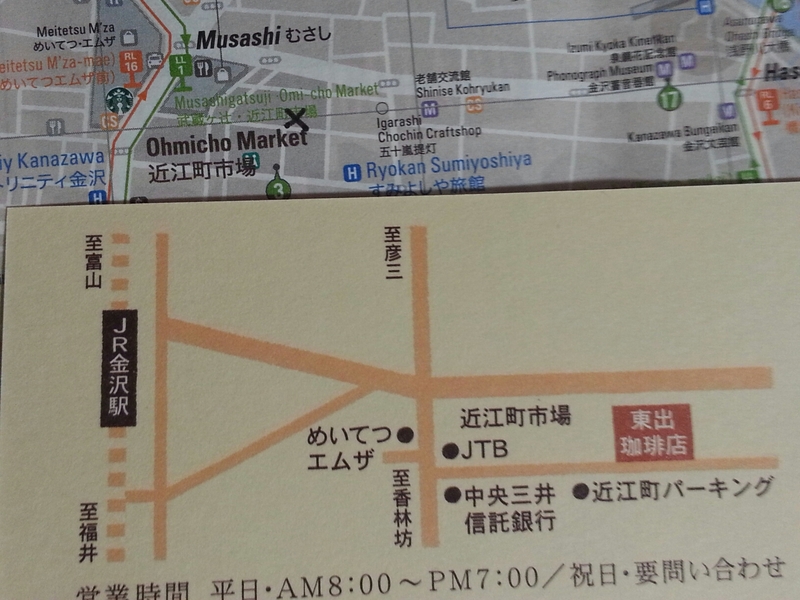 This particular coffee shop, is located behind the Ohmicho markets. It’s well worth a visit if you are in the area. 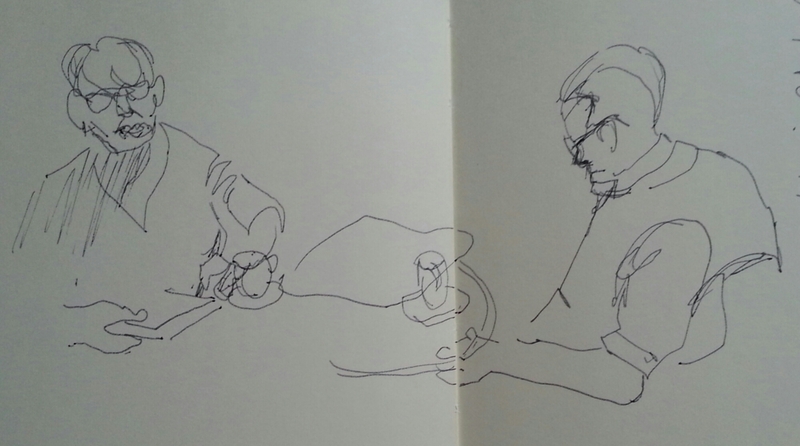 A very quick drawing of our reflections in the window while we were having coffee. It felt quite odd to be drawing myself, drawing myself, if you get my meaning. 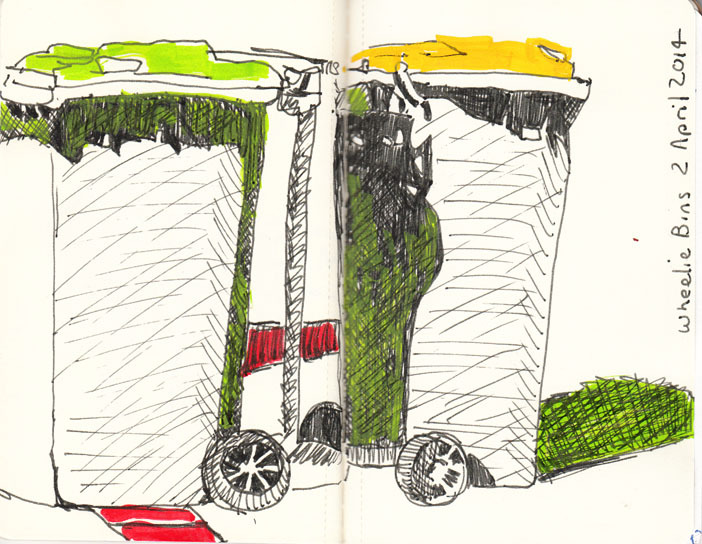 Latest from the cafe, after a somewhat unfortunate drawing of a person at the cafe – drawing people isn’t my strong point – I decided to move on to a subject that was more forgiving, the wheelie bins outside the cafe. Wheelie bins at the Cafe, 2 April 2014. I think I’m getting the hang of using just enough of my paint markers.